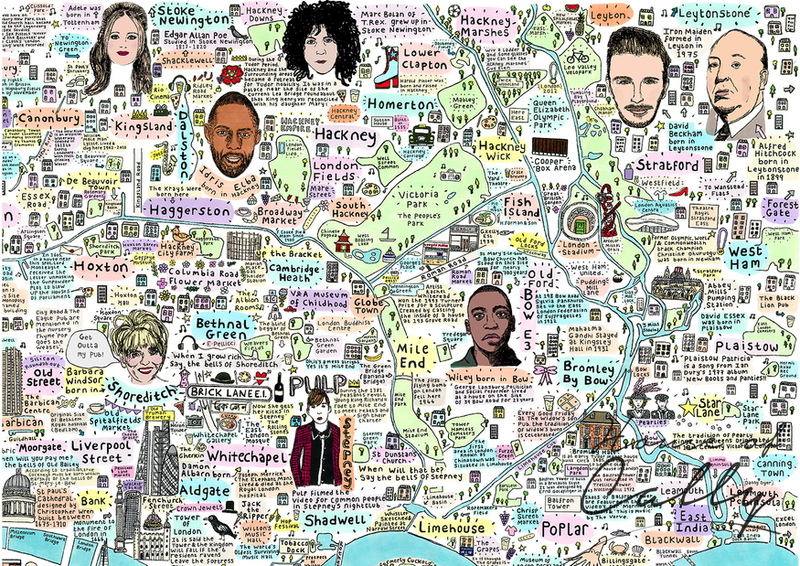 Inner London is a rich tapestry of history and culture in this new map from Cally Lathey. Every square centimetre holds a fascinating nugget. Whether pop culture (Barbara Windsor's birth in Shoreditch or the Spice Girls filming Wannabe in St Pancras) or serious history, it's all here. The densely packed artwork took Cally almost a year to research and design (read all about it). It would make a beautiful addition to anyone's wall, but those new to London will find the pick-and-mix of facts particularly rewarding. 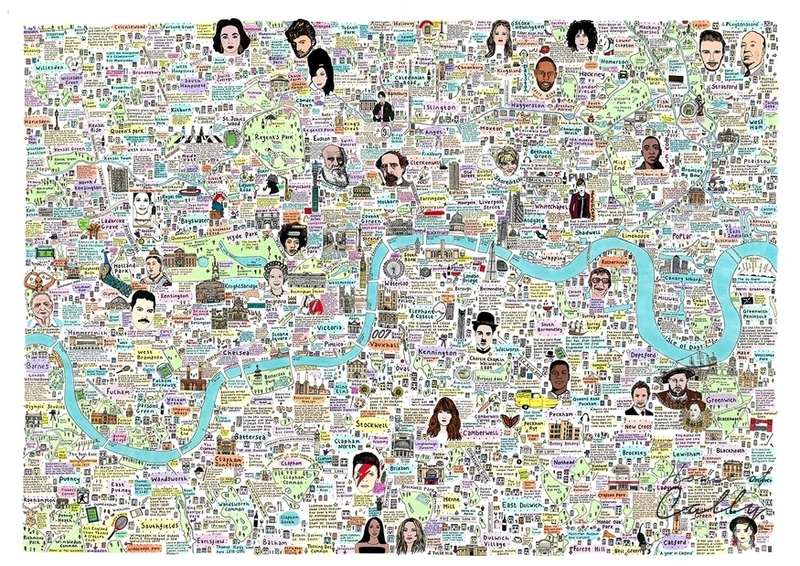 Prints of the map can be purchased from the House of Cally website. 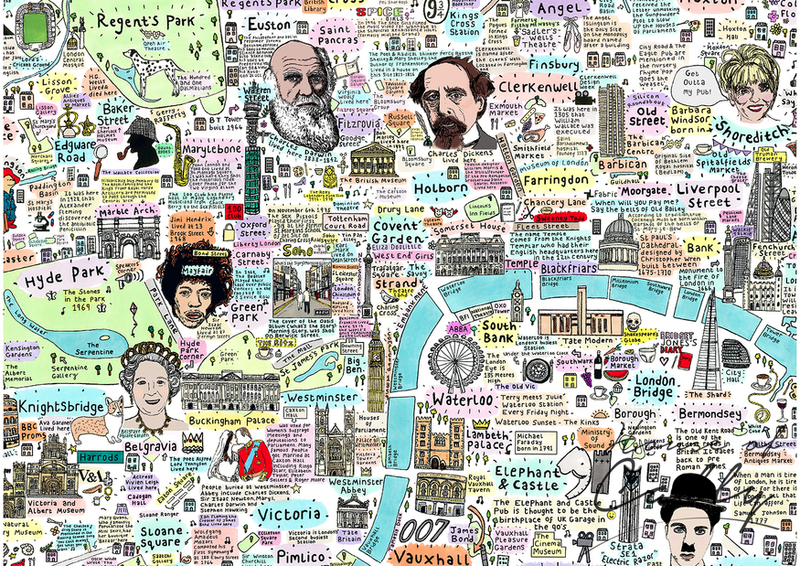 One of Cally's previous maps can be found in Londonist Mapped, our award-winning book from AA Publishing.